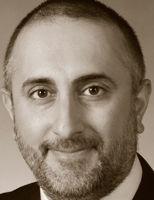 Shahed Latif is a partner in KPMG's Advisory practice having extensive IT and business skills. He has over 23 years of experience working with the global fortune 1000 companies focusing on providing business and technology solutions across a variety of areas. During this time he has specialized in developing IT security architectures, IT strategies, and assessing large complex outsourcing and Business Process Outsourcing arrangements. He is the Western Regional Leader for KPMG's Information Protection and Business Resilience practice. Shahed has spent 10 years in the London office working in the financial sector consulting group, Information Risk management group and the assurance practice. He has worked on large global companies giving him the opportunity to have worked in Africa, Asia, and Europe. In this webcast, the authors of Cloud Security and Privacy will discuss cloud computing's SPI delivery model. "This book can be a good resource for people who are planning on cloud computing solutions. " "The authors successfully manage to provide a very helpful overview of the topic...the book will help readers understand cloud security concepts and ideas, as well as expectations for the future. " "Overall this is a surprisingly good book tackling a difficult topic..."
"The book is indeed a comprehensive treatise on everything cloud, and everything cloud security...One of the most important things I picked from the book was a very structured view on separation of security responsibilities between the cloud provider and the customer for all of the SPI scenarios. This alone probably justifies getting your own copy. " "...this is a great source of information on a very hot topic du-jour, and the combined experience and expertise of the authors does a lot to bring credibility and added value to this work. It is highly recommended for those that are either currently using, or considering, cloud services for their enterprise in the immediate or very near future." "There are no other books that I know of that attempt to deal with this subject as completely and as comprehensively as does Cloud Security and Privacy. You really do owe it to your organization to read this first in order to be able to ask the right questions. Anything less would be highly negligent on your part. "